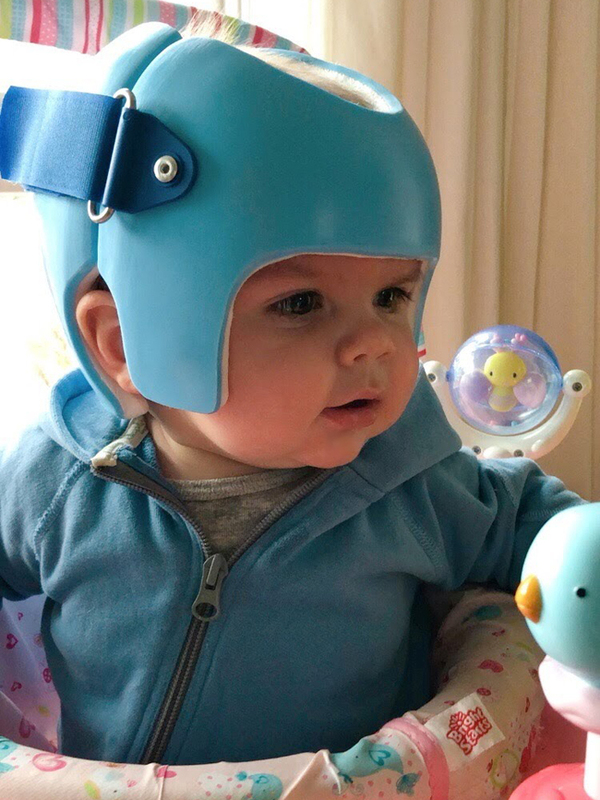 Olly started wearing his spiffy new “hat” last week, aka his cranial band to help round out his head, and he’s done awesome. For the first few days he was on a schedule of a few hours per day with breaks in between, which amped up to now wearing it 23 hours per day with a one hour break to wash it and give him a bath. Olly has been a real trooper, and in one week, his skull has already made a little bit of progress, which is really awesome. He’s expected to wear it until approximately his first birthday in August. BTW, I know I’m his mom, but that is one cute kid, right?! 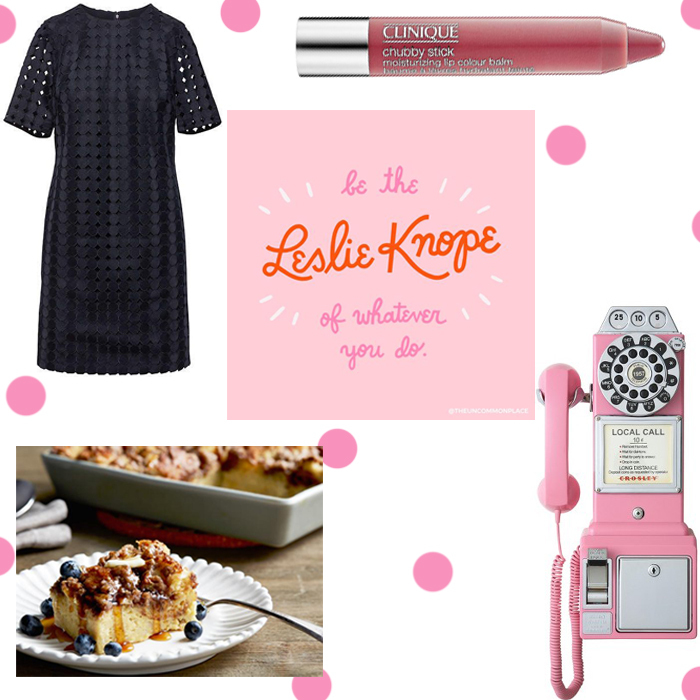 I saw this dress in the Banana Republic window the other day and squealed out loud. This Clinique lip balm in super strawberry is the only thing I’ve been reaching for these days. It’s the perfect berry-pink-red that makes me feel put together (when I’m so not) without worrying about it spreading all over my face. Is there any chance that Andy would agree to putting THIS in our house? And just so we don’t leave on the most depressing note… We made this overnight french toast for Christmas brunch and liked it so much we’re planning to make it again for Easter. Have a wonderful weekend and Happy Easter if you celebrate! I’m so excited for Easter this year because it’s the first time Joey kind of gets it. 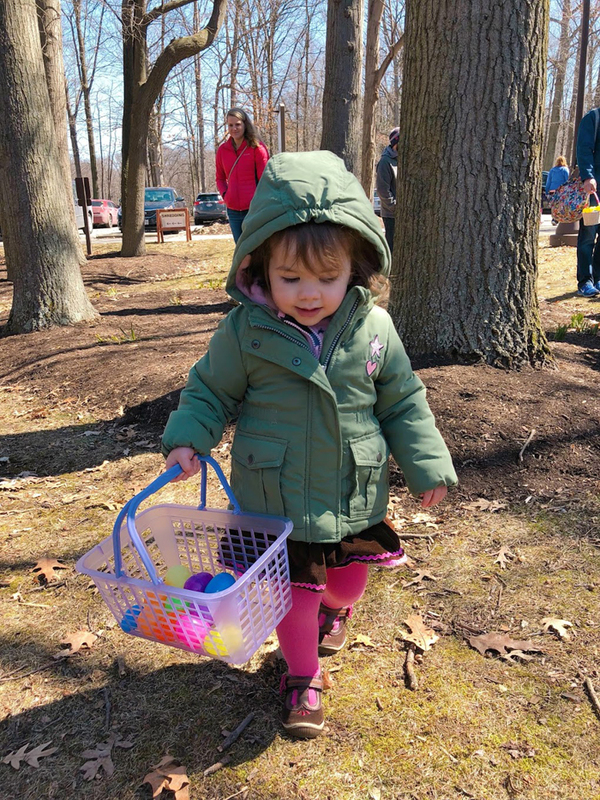 She went on her first egg hunt last weekend and had so much fun. Now she’s anxious for the “Easter Hop Hop” to bring her more eggs!